Incontinence, it is something that happens to the best of us. Our bodies grow older and we lose some of our sense of feelings and control. 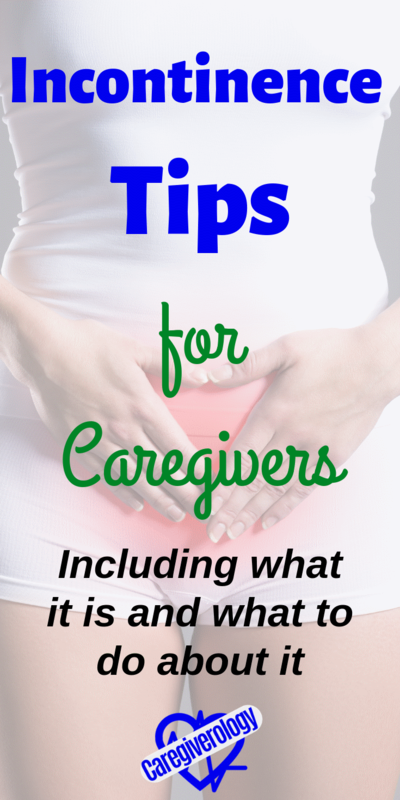 Here you will find valuable information that will help you as a caregiver care for these patients. When will this happen? Nobody really knows. For some people, it never happens. It is different for everybody. I have seen patients of many different ages with it. Although it is most common in seniors, younger people can also become incontinent in many different ways. We were all born with it and some people never learn to control when they urinate or have a bowel movement for one reason or another. First of all, what exactly is incontinence? What physically causes it to happen? In order to treat it, it is important that it is understood. I will focus on urinary incontinence since it is the most common. The kidneys filter blood to remove waste products which in turn creates urine. This is an ongoing process that never stops. Drops of urine are constantly being collected by the bladder. Once the bladder is full, a signal is sent to the brain that it is time to urinate. That is the feeling we get when we have to go. Whenever we do find a toilet, we relax the urethra, which is the portal of exit, and empty the bladder. Then the cycle begins all over again. When someone is incontinent, the urine passes right through the bladder and out of the urethra. The urethra is in a constant state of relaxation and is incapable of constricting in order to allow the bladder to fill up. Because of this, drops of urine continue to uncontrollably leak out throughout the day. Basically, the kidneys are working normally but the bladder still stays empty. There are some patients that won't leak for long periods of time and then urinate a large amount all at once. In this case, they are technically not incontinent. Their bladders are functioning normally and they still have control to a certain extent. When this happens, try to establish a toileting schedule every two hours or so to prevent accidents from happening. The most important thing to understand with these patients is that it is by no means their fault. You absolutely can not get angry or even frustrated with these patients. It is literally out of their control. They can usually tell if you are frustrated even if you try to hide it. If you are having a hard time controlling your frustration, just put yourself in their place. You may even be in their place one day. These things are a natural part of life. I have had many patients apologize to me when I have to change their adult diaper, or brief as I like to call it, or their bed linens. I have to remind them that it's not their fault and that I'm there to help. That's another thing. Always call it a brief. 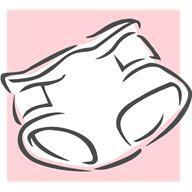 I have heard many caregivers call it an adult diaper but I never call it that, especially directly to the patient. You may call me petty, but I just personally think it is an inappropriate term. Some patients won't mind it being called that but others will find it offensive, even though they may keep it to themselves. It very quickly becomes a habit if you practice saying it a few times. One of the most useful items for patients with incontinence is an incontinence pad. They have saved many beds for me plus, as an added bonus, they can help reposition patients as well. Some are washable and some are disposable. I have personally used both of them at the same time for patients that go a lot. I've heard an argument that states it is better to just use an incontinence pad without a brief while in bed in order to prevent a build up of moisture against the skin. Although I'm not aware of this being widely practiced, I feel like the argument makes sense and should be considered. Although foley catheters may not be considered incontinence products, they can help keep a patient dry for a short period of time. By no means should it be a permanent form of incontinence control. They can cause urinary tract infections (UTI) among other things if they are used for a long time. Bed sores can form much easier with patients who are incontinent because of the extra moisture it causes. Because of this, it is extra important to make sure you reposition these patients often, especially if they are on bedrest. Every two hours is preferred. No matter how often you change and provide perineal care to these patients, moisture can still build up very quickly. It is impossible for patients to be dry 100 percent of the time, but you should still strive for them to be. Barrier cream can further aide in keeping the skin dry preventing bed sores and rashes. It should definitely be used for patients with reddened skin because that is the first sign of a bed sore. Intervene sooner rather than later. If your patient hasn't urinated in more than eight hours and they don't have the urge to go, they could be dehydrated or retaining. If one is available to you, use a bladder scanner to see if there is any urine in their bladder. Some patients can tell when they go but still can't control it. It just happens without warning. If this is the case, they can tell you when they go and you can change them right away. Others can't feel anything. Check these patients often and change them immediately if they are soiled. The longer you wait, the more time their skin is exposed to unwanted moisture. Every four hours may be fine for some, but other patients that go more frequently should be checked at least every two hours. Don't just go by smell. Sure, you will sometimes be able to smell if a patient has gone, especially with bowel movements, but other times you will not. I have become accustomed to many smells because I have been around them so many times. It doesn't always smell the same even with the same patients. It's always best to physically check. Many patients are embarrassed and won't want you to change them. You must explain to them that it is not their fault and that you are there to help. Stress that you don't want them to develop rashes and sores from laying in the moisture for too long. Others may claim they are clean when in reality, they are not. This is especially true with patients with dementia. You must explain to them that they are soiled and you need to clean them. Remind them that you don't mind and that it is actually necessary for you to do so. Understand that it is very difficult for some patients to accept their incontinence. Be there for them and comfort them. This is a time for you to show them that you are truly dedicated to helping them and are glad to partake in their care.